For the Lebanese political party, see Al-Mourabitoun. Al-Mourabitoun (Arabic: المرابطون‎, translit. al-Murābiṭūn, lit. 'The Sentinels') was an African militant jihadist organisation formed by a merger between Ahmed Ould Amer, a.k.a. Ahmed al-Tilemsi's Movement for Oneness and Jihad in West Africa and Mokhtar Belmokhtar's Al-Mulathameen. In 4 December 2015, it joined Al-Qaeda in the Islamic Maghreb (AQIM). The group seeks to implement Sharia Law in Mali, Algeria, southwestern Libya, and Niger. On 2 March 2017, the group's cells in Mali, along with Ansar Dine, Macina Liberation Front and the Saharan branch of Al-Qaeda in the Islamic Maghreb merged into the group Jama'at Nasr al-Islam wal Muslimin. The group's establishment was announced by Mokhtar Belmokhtar, however the group's leader who was said to be a non-Algerian veteran of the anti-Soviet jihad in Afghanistan and the 2002 battles against American forces in the same country, later identified by French Intelligence as an Egyptian known as Abubakr al-Nasri (al-Masri). Abubakr was reportedly killed by French Special Forces in North Eastern Mali between 10 and 17 April 2014, as was senior commander Omar Ould Hamaha weeks earlier. The group is named after the Almoravids, a North-West African Islamic dynasty of the 11th and 12th centuries, spanning from Senegal to the Iberian peninsula. It has been designated as a terrorist organization by the UN, Australia, Canada, the United Kingdom and the United States. 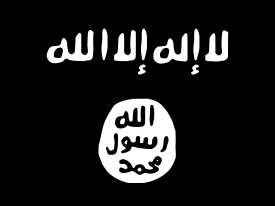 On 14 May 2015, Adnan Abu Walid Sahraoui released an audio message pledging the group's allegiance to the Islamic State of Iraq and the Levant (ISIL). Belmokhtar issued a statement several days later rejecting this pledge and stating that it had not been approved beforehand, seeming to indicate a split in the group. On 3 December 2015, AQIM leader Abdelmalek Droukdel announced in an audio statement that Al-Mourabitoun had joined his organisation. ISIL formally accepted Sahraoui's pledge of allegiance in a statement and video released in October 2016. The reason for the lengthy delay in acknowledgement was not clear. 7 March 2015: A masked gunman killed 5 and injured 9 others at a restaurant popular with foreigners in Mali's capital Bamako. Among the victims were three locals, a Frenchman, and a Belgian security officer with the European Union representative in the city. 15 January 2016: A group of militants staged a co-ordinated assault on two hotels and adjacent businesses in the center of Burkina Faso's capital Ouagadougou, burning vehicles and taking more than 200 hostages. At least 30 people were killed and 56 others injured in the siege that followed. February 2016: The group released an audio message, in which it admitted it had kidnapped an Australian couple during the Ouagadougou attacks, and that it planned to release one of the captives as it does "not target women in times of war." The wife of the doctor that was kidnapped during the Ouagadougou attacks was subsequently released on February 7. 13 March 2016: Three gunmen assaulted a beach resort in Grand-Bassam, Ivory Coast, using assault rifles and hand grenades. At least 21 people were killed in the attack, including all of the attackers, three members of the country's special forces, as well as 15 civilians (including at least 5 Europeans). 18 January 2017: A suicide bomber drove a vehicle filled with explosives into a military camp near Gao, Mali, killing 77 people and injuring at least 115 others. At the time it was the deadliest terrorist incident in the country's history. ^ a b c d "Mali: qui sont les nouveaux chefs des katibas jihadistes?". Radio France Internationale. 14 May 2014. Retrieved 19 May 2014. ^ "Mokhtar Belmokhtar now leads 'Al Qaeda in West Africa'". The Long War Journal. 13 August 2015. Retrieved 13 August 2015. ^ a b "Al-Qaeda now has a united front in Africa's troubled Sahel region". Newsweek. 3 March 2017. Retrieved 4 March 2017. ^ "Belmokhtar's militants 'merge' with Mali's Mujao". BBC News. 22 August 2013. Retrieved 22 August 2013. ^ a b "Mali extremists join with al-Qaida-linked North Africa group". The Washington Post. Associated Press. 4 December 2015. Retrieved 4 December 2015. ^ "Mali: Extremism & Counter-Extremism". Counter Extremist Project. Retrieved 12 February 2017. ^ a b "Al-Murabitun: North Africa's Jihadists Reach into History in Their Battle against European "Crusaders"". Jamestown Foundation. 17 October 2013. Retrieved 27 January 2014. ^ "The List established and maintained by the Al-Qaida Sanctions Committee with respect to individuals, groups, undertakings and other entities associated with Al-Qaida". United Nations Security Council Committee 1267. UN.org. 2014-11-19. Archived from the original on 2014-09-25. Retrieved 2014-11-21. ^ "Belmokhtar's jihadist group in N.Africa vows allegiance to IS". Yahoo. 14 May 2015. Retrieved 15 May 2015. ^ "Confusion surrounds West African jihadists' loyalty to Islamic State". The Long War Journal. 14 May 2015. Retrieved 19 May 2015. ^ "Sahara Islamist leader Belmokhtar dismisses Islamic State pledge: report". Yahoo. Reuters. 17 May 2015. Retrieved 19 May 2015. ^ "Islamic State recognizes oath of allegiance from jihadists in Mali". The Long War Journal. 31 October 2016. Retrieved 5 November 2016. ^ "Mali hotel attack claimed by fighters linked to Belmokhtar". Yahoo News. 11 August 2015. ^ "'No more hostages' as Mali hotel stormed". Al Jazeera. 11 November 2015. Retrieved 11 November 2015. ^ "Gunmen Attack Hotel in Burkina Faso's Capital". The New York Times. Retrieved 2016-01-16. ^ Merieme Arif (5 February 2016). "Al Qaeda group says it holds two Australians". CNN. ^ Faith Karimi (7 February 2016). "Australian woman freed by al Qaeda-linked kidnappers". CNN. ^ "Ivory Coast hotel shooting: Gunmen 'kill 15 including four Europeans' in Grand Bassam beach resort". Telegraph. Retrieved 13 March 2016. ^ "Ivory Coast Hotel Shooting: 12 Dead – Reports". Sky News. 13 March 2016. Retrieved 13 March 2016. ^ "Witness Recalls Ivory Coast Attack: 'Shooting, Then Boom, Boom, Boom'". The New York Times. 15 March 2016. This page was last edited on 31 August 2018, at 21:34 (UTC).